Simple Frozen Watermelon Popsicles are so refreshing in Summer. Happy National Watermelon Day! I sure love celebrating all these random food holidays. Do you remember all these holidays growing up?! …yay, me neither. But c’mon…how can you not celebrate National Watermelon Day?! It’s like one of the best things to eat in Summer! 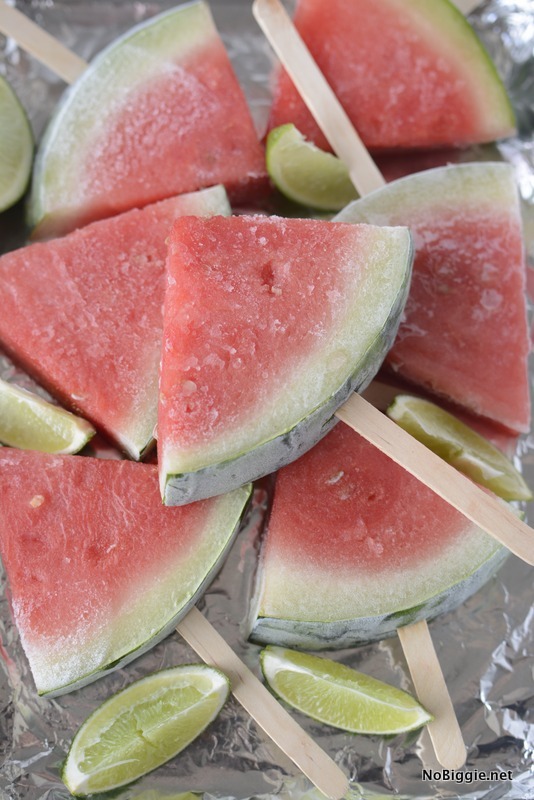 Here’s a fun way to eat watermelon…frozen…on a stick! 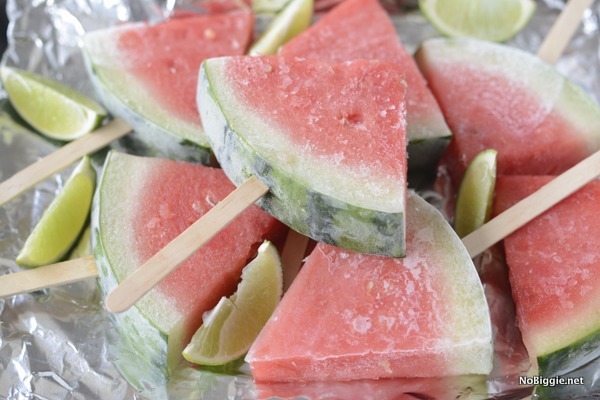 Frozen Watermelon Popsicles with a little freshly squeezed lime juice is the perfect cool treat (healthy too) on a hot Summer Day. Don’t you just love the color combination of watermelon?! It’s just so happy! 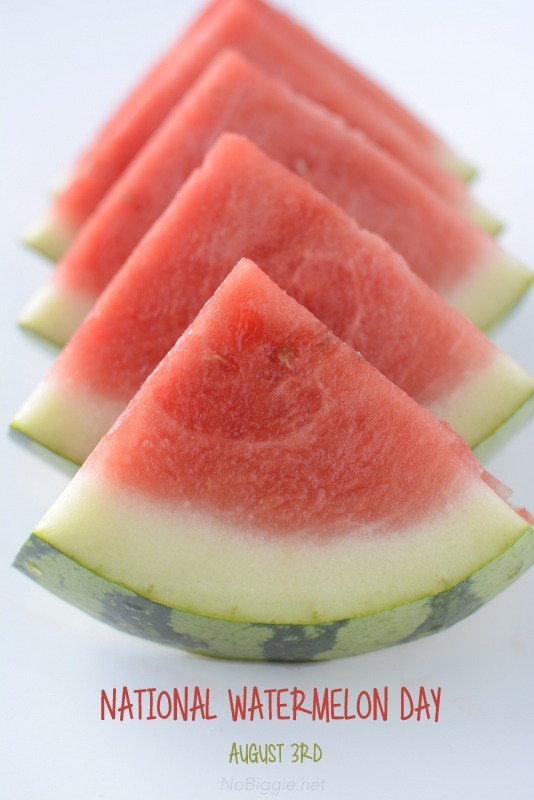 To make the watermelon pops, first slice the watermelon up into good thick slices. 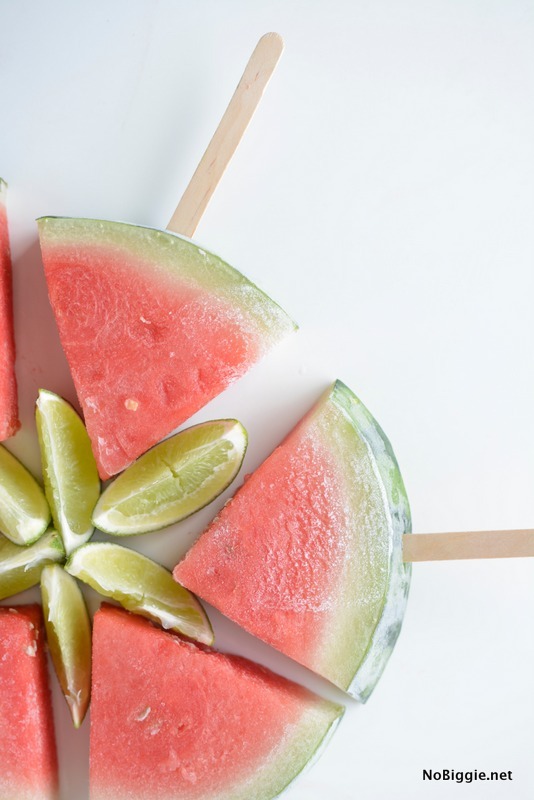 Take a pairing knife to make a small slice in the center of the watermelon rind to insert the wooden popsicle sticks. Freeze for 4 hours or overnight on a tinfoil lined pan. Remove from freezer and let thaw for 10 minutes or so. Serve with freshly squeezed lime juice. There’s just so much fun to have with a watermelon! 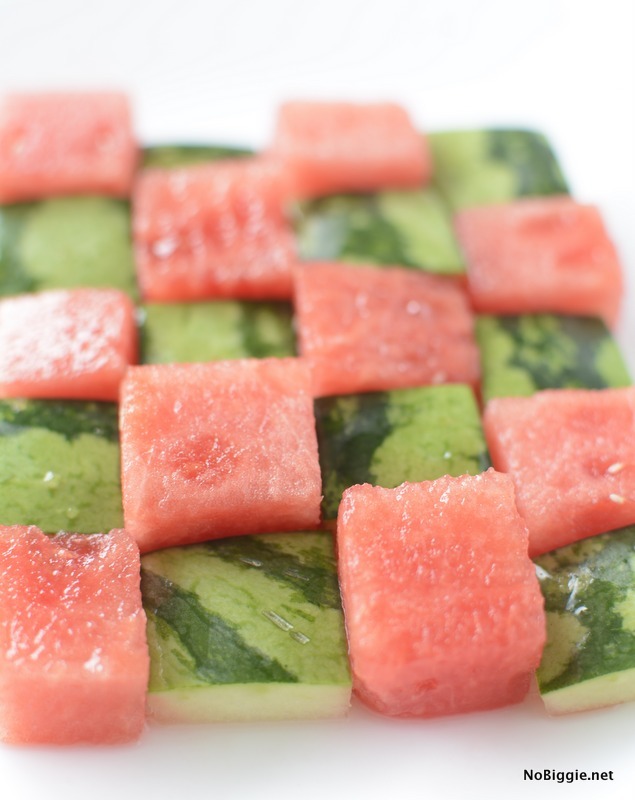 Looking for more watermelon fun? You’ll love this frozen watermelon lemonade, or these cute watermelon treat boxes.